Hi, everyone! I am super duper excited to share my fun news!!! Spellbinders has teamed up with an awesome paper crafting company called Journey Blooms and together they have started a multi-level marketing company called Fun Stampers Journey. You have to go and check it out! They JUST launched their website on June 3rd and I'm excited to say that I am one of their founding "Journey Coaches"! 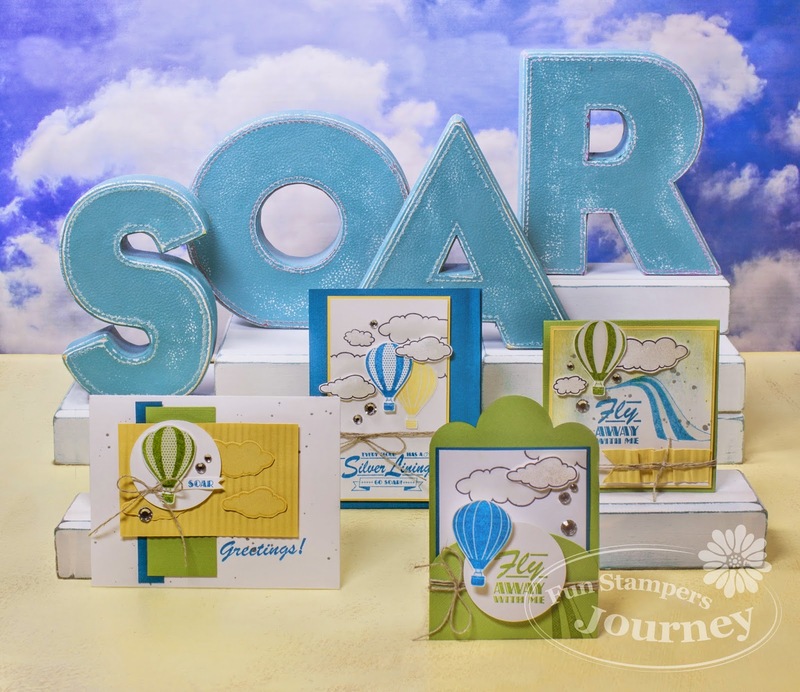 Fun Stampers Journey will bring you trend setting dies, stamps, paper, inks, and lots more! As a direct sales company, you can buy whichever products you want directly from me! Yay! Soooooo, this is a bit of a stretch for me as far as selling goes (I've never been a part of a direct sales company before!) but I'm excited for the opportunity! Go check out my page and tell me what you think of the products listed so far! Since this is all brand spanking new ( I don't even have my starter kit yet with all my dies,stamps, paper, etc) I don't have a project to show of my own but don't worry, I should be getting my kit soon! Go check it all out and tell me what you think! Hi Janice. Congratulations and Good Luck with Fun Stampers Journey. It sounds like a great idea. I am off to have a look now. Take care.